A new Unique Self conversation is emerging among thought leaders in conscious capitalism. We are now witnessing the emergence of a new appreciation of the role of business in liberating human beings out of suffering into their essence both as individuals and visionary organizations. 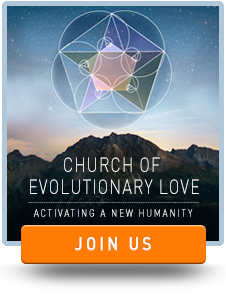 Joe: We’re here with Marc Gafni for a Unique Self dialogue. 10 minutes on Unique Self and the world of business. How are you today, Marc? Marc: I’m great, Joe, and it’s delightful to be talking to you this morning. Joe: Likewise. Our time is limited so I want to just jump right in. What is the contribution that the business world can learn from Unique Self? Marc: That’s a fantastic inquiry. And we just did a whole conversation about that three or four months ago at Esalen. There was a convocation on conscious capitalism, which is the movement [started by] John Mackey from Whole Foods – who is also our Board Chair – and Doug Rausch from Trader Joe’s, and a whole host of other CEOs – Sally Jewell from REI, Kip Tindel from the Container Store, this wonderful man from Men’s Wearhouse. There’s just a great group of people there who have convened this conscious capitalism movement, and I was delighted and privileged to be invited to talk about the interface between Unique Self and business. It’s the conversation. It’s those kind of conversations that really move the game forward. Let’s say a couple of things about it. One, it’s important to talk in general about conscious capitalism. What does conscious capitalism mean to begin with? Conscious capitalism basically means that there is a conversation about business which needs to happen that changes the narrative of how we understand business in the world. When you think of business you think of big business, a big corporation. In liberal corporations, evil exploiters, etc. But there’s another view which I think is ultimately far more powerful and accurate–that business actually is the force more than any other single force in society which has lifted people out of poverty. Business is the force that has actually changed the game. Hundreds of millions of people have been able to move from poverty to a place where they actually have basic subsistence, and once you move to a place of basic subsistence you can engage deeper issues and up-level your consciousness. Once you move beyond survival as Maslow pointed out, and you’ve established some core belongingness needs, and you can begin to talk about self-esteem, you can begin to talk about self-actualization, and transcendence needs, which Maslow talked about. As long as you’re in survival needs you can’t do that. So business paradoxically has accomplished the goal that the great traditions in many ways weren’t able to accomplish: which is to move hundreds of millions of people beyond poverty subsistence levels, and lift people out of poverty and therefore open up to them the potential to actually evolve their consciousness, which happens once you actually move beyond the survival game. That’s very powerful. That’s a powerful role that business has. That’s part one. Part two: what’s happened is that business has moved people out of poverty, but then, since that was happening around the same time that the great traditions were breaking down, the larger visions of context and spirit and purpose and direction and values and meaning were breaking down as business was emerging. So you’ve got this thing happening in the 19th century where business as a force from around the year 1800 emerges with enormous intensity and has this enormous positive effect of lifting people out of poverty but at the same time you have this breakdown of cultural mores which are rooted in the great traditions and great religions which are the sources very often of values, meaning, direction, and purpose. So these things are happening at the same time. What business needs to do is reclaim its obligation, its mantle, its own sense of purpose, which is: business usually functions in order to create, to enact something, to create a new potential, to give a new service. As John Mackey has often pointed out, and he points this out in chapters three and four in his upcoming book, Conscious Capitalism, it’s very rare that people start a business just to make money. That’s paradoxically not the case. John said that of all his friends who are CEOs, virtually none of them started their company primarily to make money. They started their company because they had a vision. And it was usually a Unique Self vision, of a particular set of gifts, a particular way that they could self-actualize, a particular contribution, a particular manifestation, a form of unique evolutionary creativity that they could incarnate and express in the world which moved them to start their business. And the way to create a business which is effective, transformative, and sustainable is through good business practices. That’s the idea of conscious capitalism. Conscious capitalism as opposed to crony capitalism where there is not true creativity, and which is based on a whole series of protectionist measures: greed, internal relationships to the government, all manners of corruption. There is a crony capitalism, a shadow to capitalism, a corrupt capitalism. But I’m talking not of crony capitalism, but a kind of conscious capitalism, where we are consciously creating through voluntary exchange systems of sustainability that create prosperity, that lift people out of suffering and poverty and open the door to the evolution of consciousness and all those hundreds of millions of people. That’s conscious capitalism. 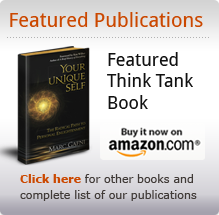 In conscious capitalism, Unique Self is the primary engine. Whether it is the Unique Self of the entrepreneur or whether it is addressing the Unique Self of the customer. How does my company allow you to live your unique story in a deeper, better way? That’s the conversation. We’ve just begun the conversation, and you begin to see how Unique Self and conscious capitalism are part of the same conversation and each a piece of a larger puzzle. Does that make sense, Joe? Joe: It does. As a theoretical overview you hit on the major points, but could you speak briefly about how Unique Self is being put into practice in business today? Maybe one example. Marc: Sure. I think that in business today there is a realization that the employee serving a function which isn’t part of their larger story, which is alienated from the larger context of their Unique Self, will ultimately not be an effective employee, whether that employee is a CEO or a mail clerk. If you can’t actually envision what you’re doing as part of your larger story, it’s problematic. And so what we need to do today – there’s this realization – beyond the old assembly line vision, or the old [idea that] you’re a “Westinghouse Man”, you’re a “GE Man”; you’re part of a corporation, that’s your job, you’ve got to do it; but your real life happens at home, on the evenings and weekends. There’s a realization that we’re spending more and more time at work, the lines between work and the rest of life is integrating, and there is a realization that we need to integrate our work life profoundly into our Unique Self expression. It doesn’t matter what you’re doing; that’s always possible. We need to create programs to allow that to happen. That’s in terms of the individual. And, number two, in terms of the company, there’s the Unique Self of the company. A company needs to identify its Unique Self: its mission statement, its sense of purpose, which is its Unique Self, and remain true to it as it emerges and evolves. On both the company level and the individual employee level, Unique Self is gradually becoming recognized as a key dimension of business. Different people in different places are trying to create programs to implement this. I’ll conclude with this. We have a vision to work with Richard Barrett, who created the Barrett Index, and we just had a series of meetings two or three weeks ago about working with Richard on creating a Unique Self Index that corporations might be able to use to evaluate whether or not a corporation is fulfilling its unique destiny, its unique purpose; and developing a general sense of what is the organizational Unique Self, what’s the ‘soul call’ if you will of a corporation, which is an enormously important issue that is coming on line. John Mackey in his new book has a couple of chapters on purpose, and I believe that when that book comes out there will be a call for companies to really look at their purpose. I think there’s going to be a new cottage industry around that. And we’re now working on a paper on how Unique Self and conscious capitalism and purpose need to play together. We’re laying the seeds for that now. And I’m sure many people who are entrepreneurial and program-directed will pick it up in different ways. We’re at the first stages of it and it’s an exciting moment to be at. See also our new Conscious Entrepreneur Portal!